Too many genres to list but includes Kpop, Jpop, Cpop, rock, pop, comedy, 20's through 2010's. I buy the physical album for my top fave groups/artists. Otherwise I buy digitally on itunes or stream it on spotify (premium, because it's just superior). I don't know the exact number but I have almost a full one tier on my shelf and some older gen albums in a huge storage container. 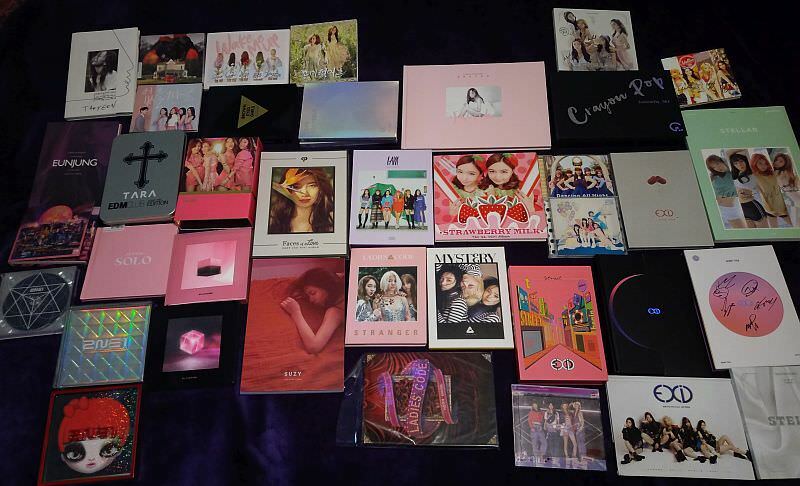 i have a lot of kpop albums only for display purposes, or because i love the covers on them and there's a lot more extras included in a kpop album than most western albums. I haven't listened to CDs since the late 2000s tho. Only BTS albums. I have every version for all of their albums except Skool luv Affair special edition. I only buy them for display/collection purposes though. Yeah, I listen to them on the car. Have stacks of CDs too. Used to have stacks of records too, before they got stolen. Yes, I think I'm at 400+ CD's now! Probably about 1/3 of that is K-pop. I do use Spotify to listen to stuff I don't own. It's more of buying the photobook that comes with it lol!